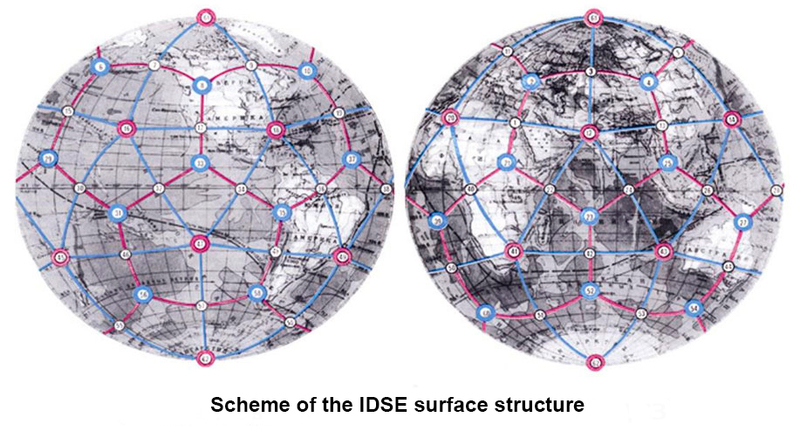 IDSE (Icosahedral-Dodecahedral Structure of the Earth) Hypothesis. 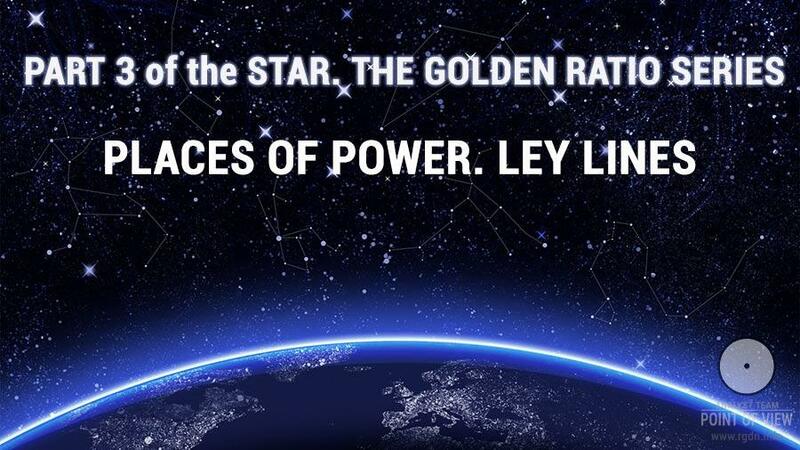 In the second part of the Star. The Golden Ratio we shall mostly discuss polyhedrons. Please, note this is a hypothesis, i.e. not a generally adopted scientific fact; hence, there are both opponents and supporters of this idea. “Satisfactory correspondence of many mid-ocean ridges, planetary faults of the crust and geosynclinal zones to edges of the said polyhedrons has been demonstrated. 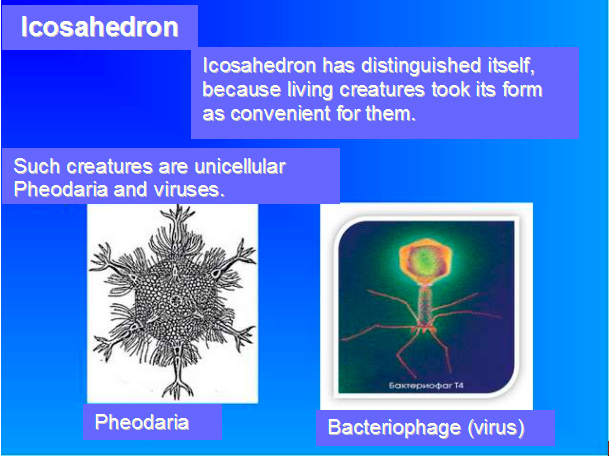 Some geological platforms are located according to icosahedron faces. All global magnetic anomalies of 1970 and a part of anomalies of other periods are situated in the system hubs. At that, the configuration of such anomalies reproduces triangular faces of icosahedrons and matches them territorially. Very sharp geophysical deflections are observed in the centres of dodecahedron faces, based on which we can assume the existence of six “power” axes on the planet (ships and airplanes regularly disappear in such areas without leaving a trace or a signal). The system hubs also contain: global centres of atmospheric pressure and areas of permanent emergence of hurricanes (while certain wind directions correspond to the system edges), areas with solar radiation upper limits, gigantic “swirls” of ocean currents. Deposits of certain kinds of minerals often correspond to the system hubs and edges. This theory emerged as early as in the 1970s. Its authors are N.F. Goncharov, V.А. Makarov, and V.S. Morozov. “In the second half of 1960s, while studying history and arts of the ancient world, N.F. Goncharov (1925-1990), artist and professor at a tuition art university, noted numerous facts of a strange “passion” for geometricism among ancient people. 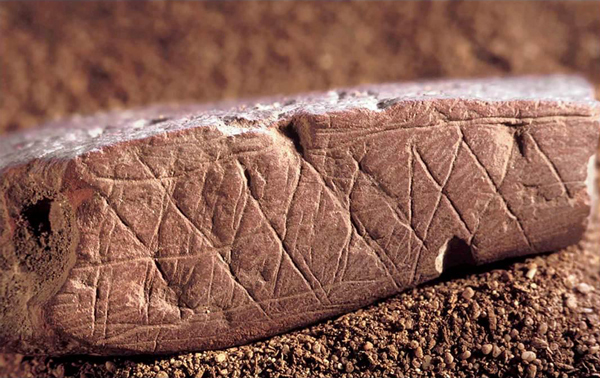 Since the Palaeolithic Age, equilateral triangle and rhombus images were spread in different parts of the planet. Hence, isn’t this an echo of world views of the ancients that the Earth represents a “set” of triangular-shaped “lands”? And, if this is so, is it possible to determine location and borders of such lands on the Earth’s surface somehow? Such heuristic guess of Nikolai Goncharov was opposed by the widespread opinion that in ancient times a triangle was a symbol of the feminine principle and the Mother Earth’s fertility. Yet, is such concept applicable to “belts” composed of regular triangles and other applications of triangles in clothing (or accessories) of kings, pharaohs and tribal chiefs, where the presence of such elements was hardly an everyday necessity? And how can this be reconciled with solitary triangles or triangular shawls with triangular ornaments on depictions of animals with distinctly masculine features? Thus, Nikolai Goncharov chose the triangle symbol as a designation of a territory, lands, disregarding and moving the fact to the background that in ancient times the triangle was a symbol of the feminine principle. He had no opportunity to familiarize himself with the knowledge given in the AllatRa book, the knowledge which the ancients did possess and which was the reason why they drew triangles and rhombuses. By the way, Nikolai Goncharov referred to triangles of the Cucuteni-Tripolye civilization as well. 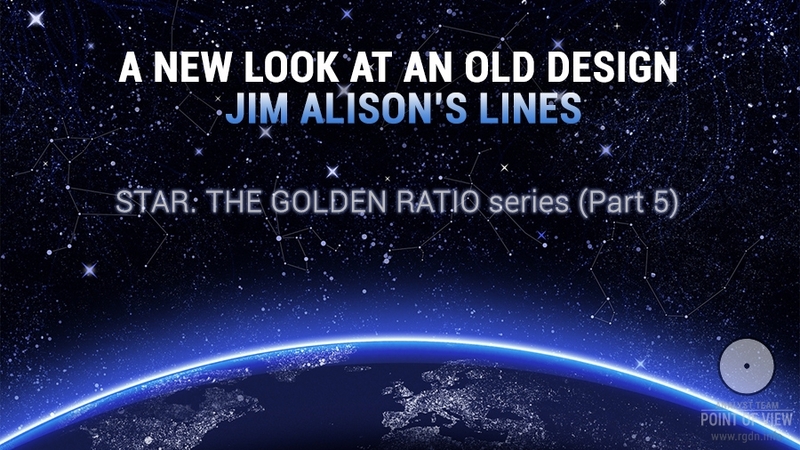 Let’s see why the ancients depicted exactly triangles and rhombuses. This is a question to which Mr. Goncharov never received the right answer. Rigden: The equilateral triangle pointing upwards, according to the primordial Knowledge about the human being, signifies two moments. Firstly, the starting state of man: as an Observer in the three-dimensional world before his independent spiritual development; as an object created in the “image and likeness” of God (the Soul is initially enclosed in man, and three conditions of his spiritual development are set: a spiritual idea, a plan, and implementation of the idea). Secondly, if we speak straight about the process of human spiritual development itself (the emphasis of which shifts to the Front Aspect, that is, to the upper triangle pointing upwards) or, on the contrary, if we speak about a person who’s bogged down in matter and in whom the Animal Nature dominates, the meaning of the lower triangle was quite different. In this case, the triangle pointing upwards symbolizes not only the Rear Aspect, but also the aggression of the material world (that is why it was associated with the element of fire in some cases), the movement of matter from expansion to contraction (from the outside inwards), concentration on the Will of the Animal Mind and its power over the pyramidal hierarchy of matter. In other words, the triangle pointing upwards means that which is based on the “earthly”, material and temporal, and which strives for power. In the primordial Knowledge, the equilateral triangle pointing downwards stands not only for the Front Aspect, with the help of which a person grows and develops spiritually. Since ancient times, this symbol has meant the creating force of Allat, that is, movement of the spiritual from the primary point of incarnation, manifestation of the Creator’s plan to permanent creation and expansion, to a perfect form enclosed in that plan. It is no coincidence that in ancient times the triangle pointing downwards was associated with symbols of the feminine principle, with supreme goddesses who, in beliefs of different peoples, embodied the creative functions of the Great Mother as the progenitress of the whole world, and contact with the water environment (which was an association with the spiritual world). According to the sacred primordial Knowledge about a human being, when the Personality chooses the Spiritual Nature, manifestation of the creating power of Allat is taking place in him or her in the form of spiritual awakening, an expanded state of consciousness, and manifestation of spiritual Love. That is why during spiritual practices a person experiences a feeling of comprehensive understanding, omniscience, and all-encompassing Love for the whole world. This is exactly the work of the Front Aspect and manifestation of the powers of Allat, which restore and manifest the Personality’s connection with the Soul. Echoes of this Knowledge are traced in the sacred treatises about the world and man, in mythological stories, images, and rituals of many peoples of the world. Anastasia: Incidentally, in the Tripolye civilization, for example, it is the symbol of two vertically spaced triangles touching each other’s vertices that was often depicted on ritual dishes, even with a designation of the direction of energy movement in spiritual practices. 6.designation of the person following the spiritual path: it is shown that the Front Aspect prevails over the lateral Aspects and leads a person to another, higher world through the power of Allat (the person doubles and manifests in dimensions higher than the third one). The rhombus was also often depicted in the form of an oval “grain” with slightly pointed top and bottom vertices, and was associated with the symbol of the feminine principle, vital energy, and fertility of goddesses who, as a rule, were endowed with the functions of the Great Mother. It was designated with the signs of fusion of two forces that formed a new shape in space. 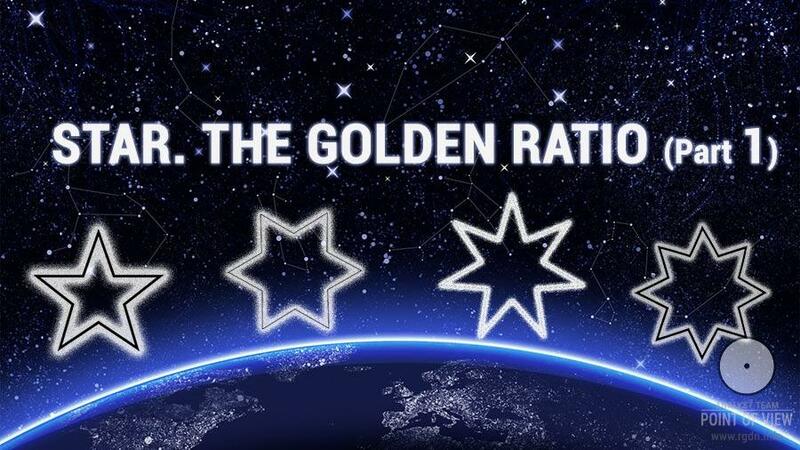 The rhombus inscribed in a square, or the rhombus that goes beyond the square and forms eight angles, an eight-pointed star – these are all symbols of the primordial Knowledge about the human spiritual liberation. 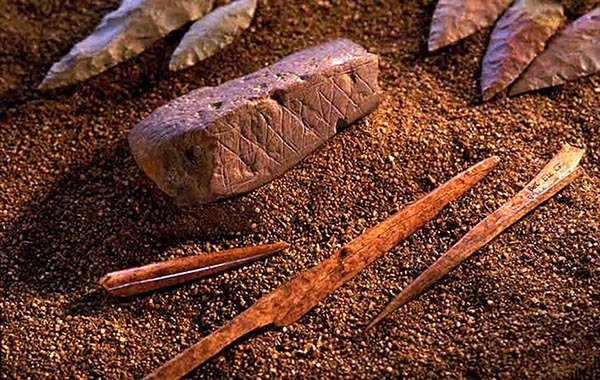 These symbols were known to people already in the times of the Palaeolithic Age. All these images and symbols were based on the knowledge of spiritual practices, particularities of awakening of spiritual forces in man, manifestation of the moment of fusion of the Personality with the Soul. Incidentally, in ancient times the process of reaching such a spiritual fusion, enlightenment and perception of the Truth was designated with a symbol that looked like a “bug”. As a matter of fact, such approach of Nikolai Goncharov surely does not mean this hypothesis must be immediately rejected. His approach simply shows how ancient knowledge about spirituality gradually got lost (with the help of a certain group of individuals), and how contemporary people, passing the ancient knowledge through their material consciousness, move the main points (spirituality and ancient spiritual knowledge) to the background. The authors ask an interesting question… Are those solids really Plato’s? To all appearances, Plato expounded more ancient knowledge (ideas of the initial building blocks existed long before Plato; this is interestingly described in the PRIMORDIAL ALLATRA PHYSICS report), and he surely let this knowledge through his material consciousness or served people for whom power was more important than the genuine knowledge, whereas the finds that are 1,000 years older than Plato indicate he had an indirect relation to the so-called “Platonic solids”, since they had been known before him. Anyway, the doctrine of indivisible particles and of the discrete nature of matter continued to exist in different philosophical schools, both in the East and already in the West, where everyone interpreted it in their own way. For example, in the East in the 7-9th centuries, the doctrine of indivisible particles, the structure of matter, space and time was known in the Arab and Muslim world owing to Mutakallimūn. In the West, atomism can be traced in the works of ancient Greek philosopher Epicurus, Roman philosopher Titus Lucretius Kara, in the doctrine of homoiomereia (from the Greek word ὅμοιος ‒ “similar”, μέρος ‒ “part”) of ancient Greek philosopher, mathematician, astronomer Anaxagoras, ancient Greek representative of naturalistic philosophy Archelaus, in the doctrine of Greek philosopher Diodorus Crohn or, to be more precise, in his mathematic version of atomism, in the doctrine of triangles of ancient Greek philosopher Plato, and so on. Everyone who dealt with this issue considered it necessary to call it his teaching and bring there his own understanding from the mind, often erroneous. Consequently, such distorted heritage led future generations into the world of illusions and deceptions, thereby forming science of observation of external manifestations without understanding of the inner essence of processes that took place. The authors took the Pyramid of Khufu (Cheops) as point zero in their calculations and modelling. It should be mentioned many researchers take the Giza plateau and pyramids located thereon as the datum point or the point of the origin of coordinates. “Yet, what dimensions must triangles have? 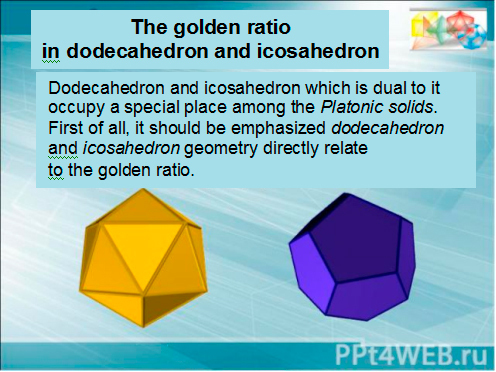 In the Platonic solid – icosahedron – 5 triangles meet at each of its vertices, and all the triangles have equal 60° angles. One the sphere these same angles are 72° each, meaning triangle edges (icosahedron faces) contain 72° each. Let’s draw the shortest possible 72° curve on the globe, from the west to the east via the point which corresponds to the Pyramid of Khufu location, in such a way that the pyramid itself would be in the middle of such curve. Let’s connect the curve end points along meridians with the geographical North Pole. We have obtained a giant equilateral spherical triangle with 72° angles, in the middle of the base of which there is the Pyramid of Khufu, similar to how the triangular door is located at the base of the pyramid itself. “At the triangle western vertex (27° N latitude, 5° W longitude), in the territory of modern Algeria and Morocco, the Berber culture prospered in ancient times. Berbers has states with advanced and distinctive culture. A large area of ancient petroglyphs is located here. As we see, both end points of the 72° curve the middle of which is in Giza have appeared to be at the seats of ancient cultures. Now, let’s inscribe an icosahedron in the Earth sphere, superposing two opposite vertices of the icosahedron with the poles, and vertices of one of its faces with the vertices of the spherical triangle we’ve drawn. 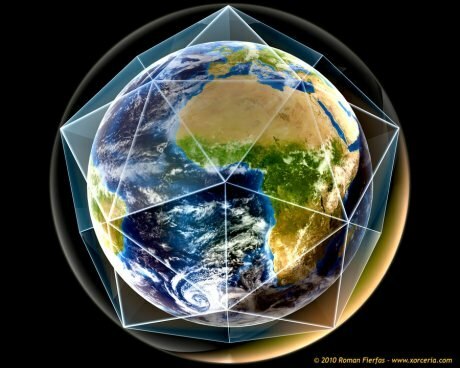 Having projected the icosahedron on the globe surface, we see that the edges of this face have matched the edges of the drawn triangle, while the Pyramids of Giza have appeared in the middle of the icosahedron face base. 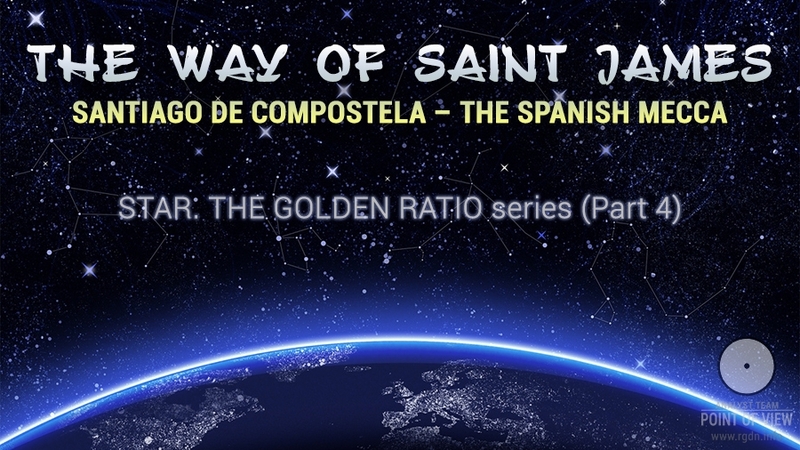 “So, the system of triangles is an icosahedron projected on the globe, two vertices of which are matched with the Earth’s poles. 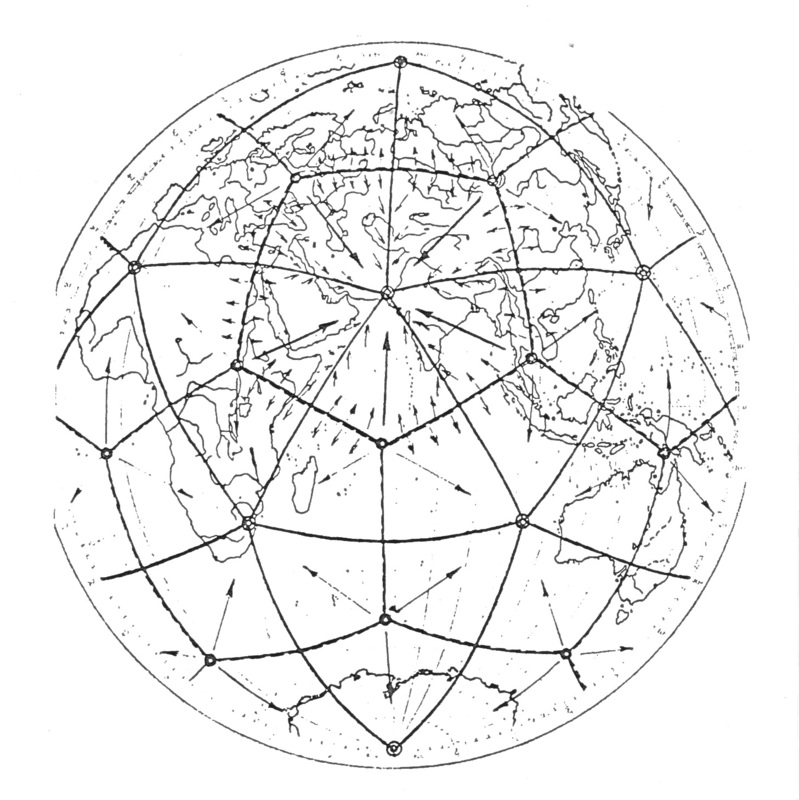 At that, 20 regular spherical triangles with angles of 72° each, the edges of which are formed by the shortest curves (geodesic lines), cover the globe with three belts: 5 triangles are around each of the poles and 10 are along the equator. The triangles are connected with each other at 12 vertex points. 30 rhombuses form of the triangles (with the axes: north-south, west-east, and sloping axes). Junction of triangle centres with one another produces 12 regular pentagons. Thus, the system is triune: triangles, rhombuses, pentagons. Let’s look at this system. So, there are triangles with vertex angles of 72 degrees; we’ve written a lot about the number 72 in different articles. Each of the triangles has 7 points: 3 vertex points, 3 points in the middle of triangle edges, and the 7th point is the triangle centre, which will be the vertex of the regular pentagon. The regular pentagon is an interesting figure: all its angles are 108 degrees on the flat. If we consider the rhombus in this system, we get 6*72 = 432, another interesting number. As for the regular pentagon, if anyone is interested, you can read about Koroviakov’s hydrodynamic spinning top (quite an interesting thing). The spinning top design is very simple: it has transparent bottom and lid, and is filled with liquid containing numerous particles similar to tiny tealeaves. If you begin to spin the spinning top and then brake it, the “tealeaves” rotating round the spinning top axis will start gathering towards the centre, forming a rather distinct pentagon shape. 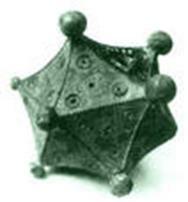 Icosahedron (from ancient Greek εἴκοσι – “twenty” and ἕδρον – “seat”, “base”) is a regular convex polyhedron with 20 faces, one of the Platonic solids. Each of its 20 faces represents an equilateral triangle. It has 30 edges and 12 vertices. There are 59 stellate icosahedral shapes. Dodecahedron (from ancient Greek δώδεκα – “twelve” and εδρον – “facet”) is one of the five available regular polygons. A dodecahedron consists of twelve regular pentagons representing its faces. 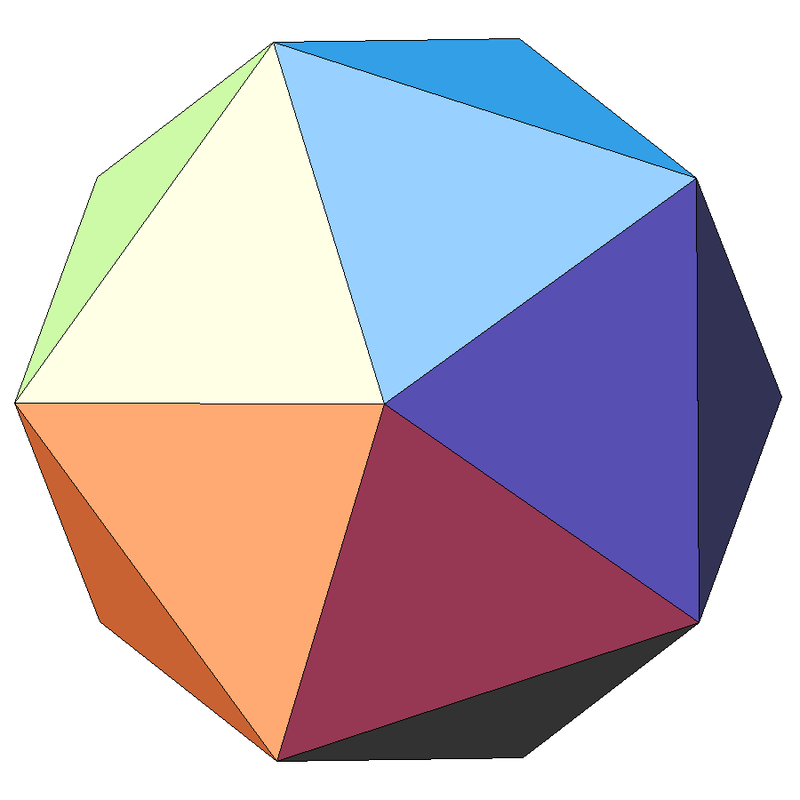 Every dodecahedron vertex is the vertex of three regular pentagons. 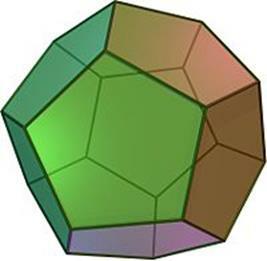 Thus, a dodecahedron has 12 faces (pentagonal), 30 edges and 20 vertices (3 edges meet at each vertex). 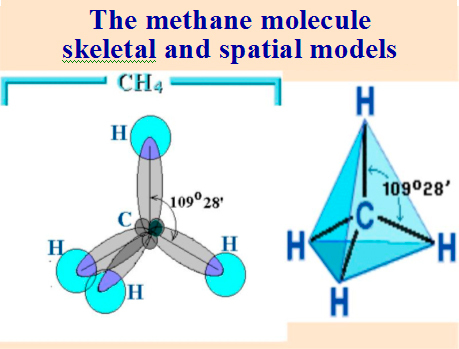 Fullerene molecules may contain 20 to 540 carbon atoms located on the spherical surface. The most stable and best studied of such compounds – C60-fullerene (60 carbon atoms) consists of 20 hexanomial and 12 pentanomial cycles. 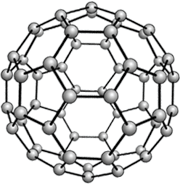 The carbonic skeleton of C60- fullerene molecule represents a truncated icosahedron. In the primordial arrangement of the 13 semi-regular polyhedrons (AllatRa online version, page 465) this figure occupies the Front Aspect place. Well, and we are the so-called “carbonic life form”, for carbon is the basis of our organic matter. 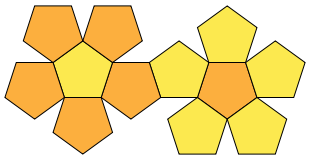 Carbon which forms shapes of pentagons and hexagons. 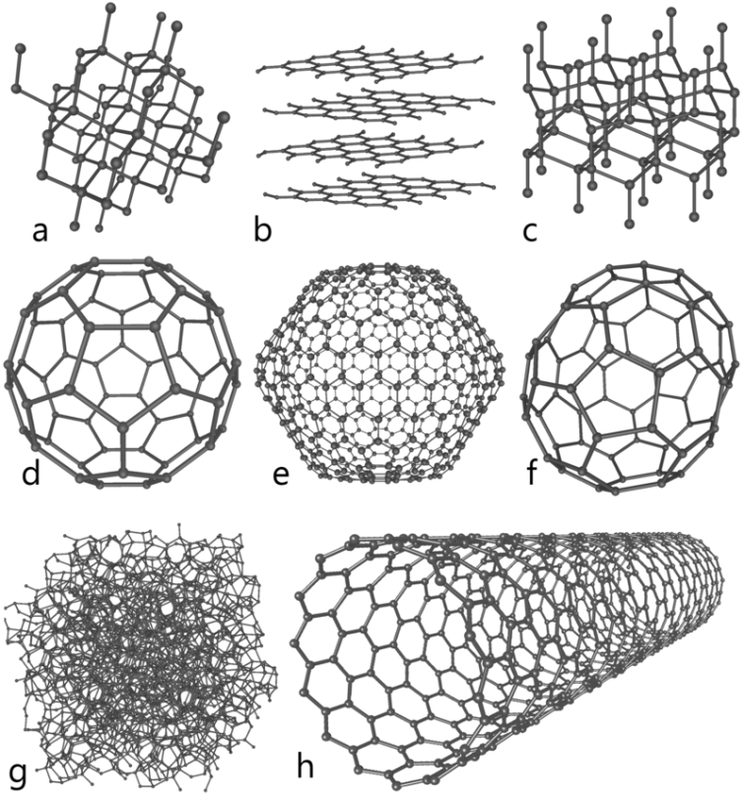 The below image depicts 8 allotropes of carbon. 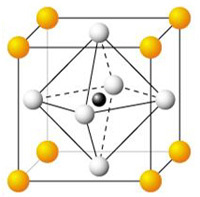 The structure of the perovskite molecule, with the chemical formula СаТiO3, precisely corresponds to the regular polyhedron. The pyrite (FeS) crystal has the shape of a dodecahedron, while boron is shaped as an icosahedron. In recent years chemists have been intensively studying the self-assembly phenomenon – one of manifestations of self-organization in chemistry. 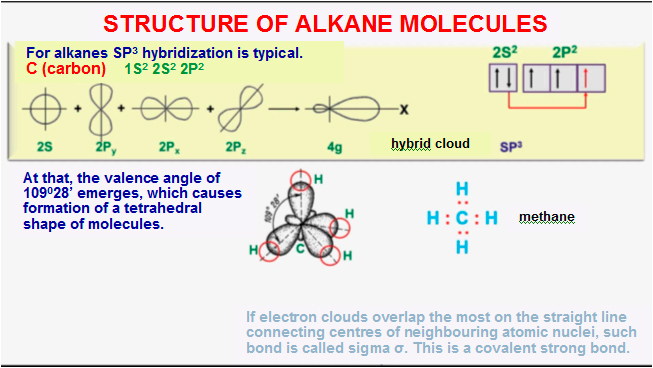 The phenomenon is as follows: supermolecules that have a complex architecture spontaneously form (assemble) in a solution form specially prepared “building blocks”, i.e. simpler molecules. This process models, though in a primitive form, the evolution of chemical structures in nature, starting from the simplest molecules up to the most complex “molecules of life” – proteins and nucleic acids. As building blocks for self-assembly, various organic molecules are used, including even DNA molecules. As a result of self-assembly, structures of highly symmetric shapes are often formed. 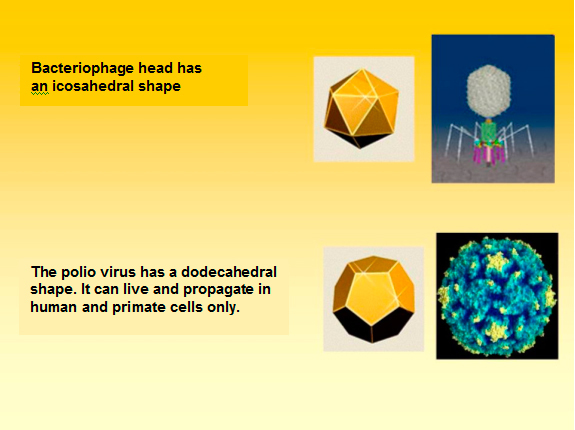 Thus, in 2008 scientists managed to obtain a tetrahedron, a dodecahedron and a rhombicosidodecahedron consisting of specially built unispiral DNA threads. Such type of structure is characteristic for ice, snow, melt water, and cellular water of all living creatures. Professor Martin Chaplin suggested a water structure based on an icosahedron. According to his model, water consists of 1,820 water molecules, which is twice more than in Zenin’s model. A giant icosahedron in turn consists of 13 or more tiny structural elements. Moreover, just like in Zenin’s model, the structure of the giant associate is based on smaller formations. Here’s what the authors of the IDSE hypothesis write: “Having analysed and compared phenomena and processes associated with lattices of each of the two IDSE polyhedrons, we discovered that in some aspects they “fulfil” directly opposite functions. Thus, at icosahedron edges and junctions the relief is often low, crust flexures and accumulation of precipitation is observed; that is, such areas behave as geosynclines at different development stages. At dodecahedron edges and junctions, on the contrary, the relief is high or shows a rising trend. Here, the substance rises from the Earth’s bowels, the so-called rift zones form, and the substance from the bowels penetrate the crust. An important observation was made that the crust substance movement takes place mostly from dodecahedron edges and vertices towards icosahedron edges and vertices. Incidentally, such movements include the Arabian Peninsula shifts to the northeast, the Earth’s crust shifts from LakeBaikal towards Pakistan, Hindustan shifts to Pakistan (causing the ongoing rise of the Himalayas), separation of the Baja CaliforniaPeninsula from the American continent, etc. Thus, 20 regions of the planet (dodecahedron vertices) are the centres of ascending substance flows, whereas 12 regions (icosahedron vertices) are the centres of descending flows. The total number of convection cells is 60. The ascending substance areas as if pull the Earth’s crust into 12 equal structural “plates”, i.e. 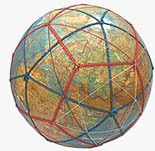 the planet surface tends to gain a dodecahedral symmetry (Figure 5). Based on Curie-Shafranovsky symmetry principle of the crystal-environment interaction, we have assumed that the planet’s inner core represents a growing dodecahedron-shaped crystal, the growth of which ensures symmetry in the planet’s shells, including the Earth’s crust. 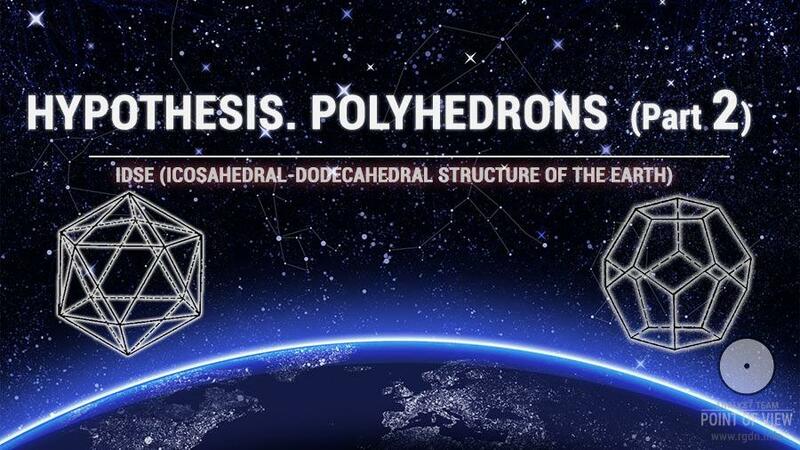 The supposed “engine” of the all-planetary mechanism, which forms symmetry of a dodecahedron crystal in the Earth’s crust, has been thoroughly proved theoretically in the process of analysis of recent achievements in crystallography. According to obtained data, the crystal germ surface already has its own potential, the range of which increases along with the crystal faces growth, thus increasing the extension of its own force field. It has been proved that no involvement of external forces is needed for the crystal to grow: the crystal itself is an active and major participant of the phenomenon, arranging the growth process and creating quasicrystal structures at a certain distance from the crystal surface in accordance with its symmetry. Vertical flows of the substance of all the Earth’s shells are as if threaded on joint radiuses that “hedgehog-like” diverge from the Earth’s centre and emerge at the surface as nodes of the IDSE force frame. A part of the substance of under-crust shell flows penetrates the Earth’s crust, while the bulk of every flow is closed within the asthenosphere. On priority directions, the flow under-crust movement is marked with a surface rise of sedimentary rocks of former geosynclinal zones (the Alpine folding) or rise and cracking of platform parts (e.g. the East African Rift). 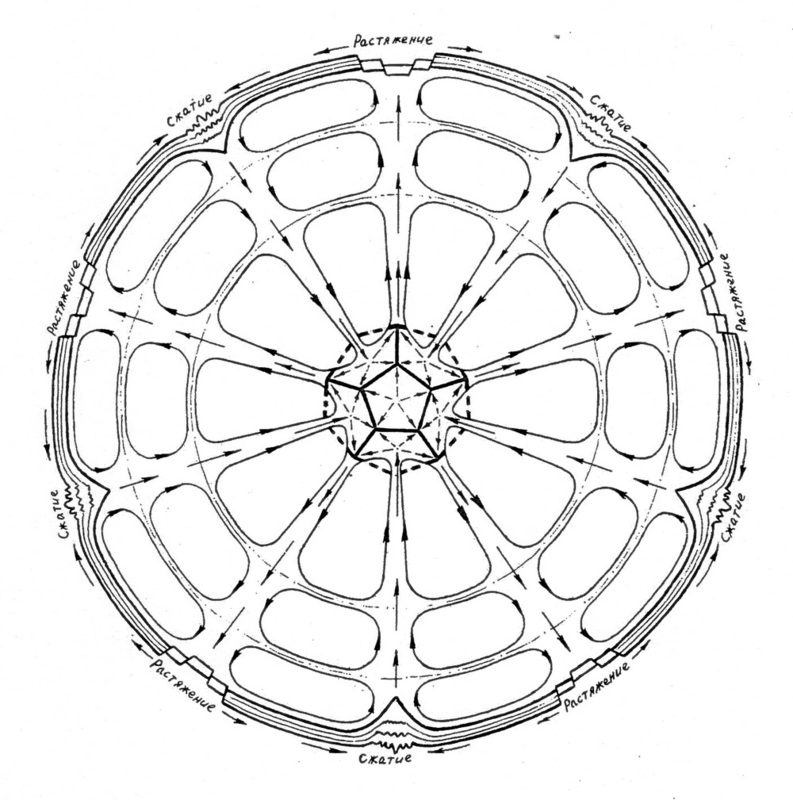 The bowels substance which penetrates the Earth’s crust along dodecahedron edges promotes transformation of vertical pressures into horizontal shifts of crust blocks from dodecahedron edges (rift zones) towards icosahedron edges, tending to create 12 pentagonal lithospheric plates. In conclusion I’d like to say I was not endeavouring to provide thorough analysis of this hypothesis; I’ve just touched upon certain points that are interesting in my opinion, while readers will decide for themselves whether the hypothesis is of interest to them or not. At that, my attitude to this hypothesis is neutral. The authors’ idea is interesting; the patterns identified are interesting as well, though there is a lack of inner essence. However, with the emergence or rather restoration of the primordial knowledge humanity now has a chance to do much more, and I am confident we will do, and above all not harmfully, but beneficially for ourselves and those who will live after us.